Hi lenders! Here is a great update from Traci in Kenya. 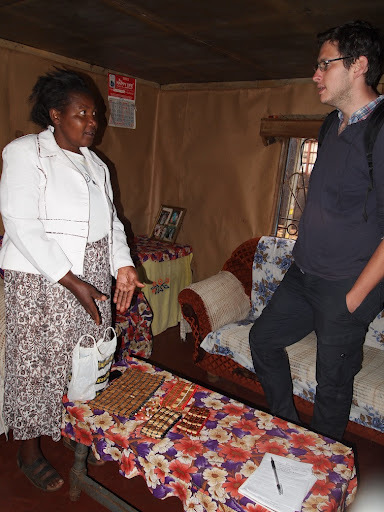 She recently had a chance to meet with Jane Njoroge, a resteraunt owner who is looking to expand her business. Read about Traci’s visit below, and don’t forget to check out her blog! The up-and-coming town of Ongata Rongai, home to many Zidisha borrowers, is a mini Nairobi, with its numerous supermarkets, sprawl of modern flats, and lining every street sit local restaurants and fast food chains. Just around the corner of the city center, away from the hawkers and fast-moving traffic, you’ll come across Liz’s Kitchen. Potted plants hug the exterior of this charming hotel (a hotel in Kenya often times refers to restaurant), while the inside is bathed in sunlight. Several rounded tea tables cover the floor of Liz’s Kitchen, giving off a European café vibe. The minute I step into Jane Njoroge’s hotel, I know I will be a returning customer. Named after her sister, Jane started Liz’s Kitchen in 2010. Although she does not have formal training in the restaurant business, her prior profession as an educator has well equipped her in culinary arts. When still teaching, Jane took a six-month course specializing in nutrition and food preparation, as the skills acquired were needed at the nursery school. 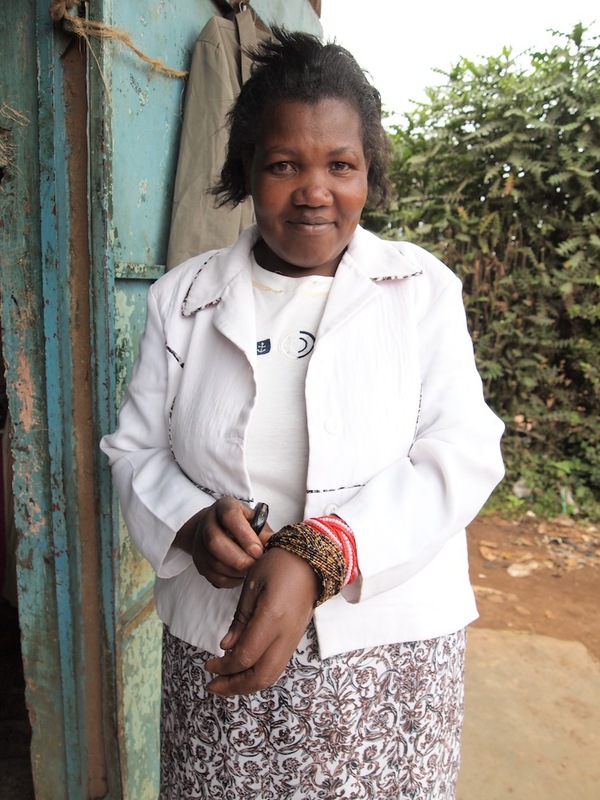 Jane decided to leave her job at the school when she had her youngest child, Wanjiru, who is now three years old. Although Jane is no longer a teacher, her passion for education never left her side, for her dream is to open a school in Ongata Rongai. With the help of her hotel business, she would like to buy land, build a school, and provide transportation for the students. 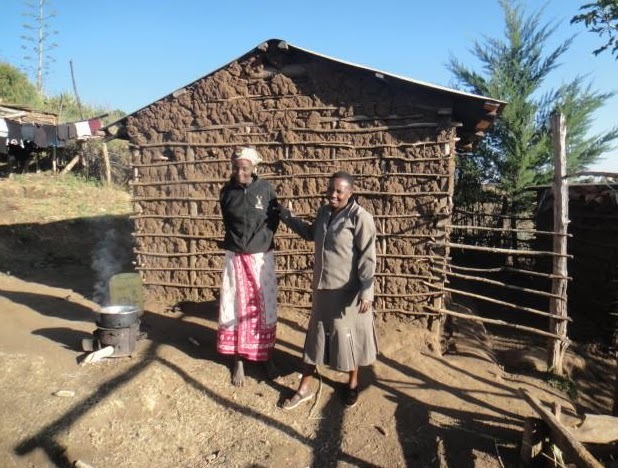 Being new to Zidisha, Jane heard about the organization through her son, borrower John Njoroge. With her first loan, Jane would like to employ one more person at Liz’s Kitchen. Adding another employee would help Jane and her staff of two with the arduous task of morning food preparations. With extra hands, the cutting of vegetables; making of snacks such as chapati, samosas, and mandazis; and the labor intensive task of using charcoal will be much more manageable. Jane also hopes to find a reasonably priced machine to make chips (french fries). Being a popular snack for both adults and children alike, Jane finds herself turning away eager customers in want of this delectable treat. With the help of Zidisha, Jane hopes to soon add one more item to her already mouthwatering menu. Before I could leave and it being time for lunch, I had to try my first meal at Liz’s Kitchen. A little bit of meat, a small serving of vegetables, a light soup on the side, and a whole lot of rice pilaf; the fact that my plate was empty in just a few minutes is a true testament to the quality of Liz’s Kitchen. Making frequent trips to Ongata Rongai and always struggling to find somewhere satisfactory for a quick bite, I know I have now found my haven. Jane, I wish you all the best with your loan and hope to enjoy some chips at Liz’s soon. A brother in Nakuru has a friend in Nairobi who has a relative in the Maasai Mara. That is how the word of Zidisha has traveled throughout Kenya. The power of the word of mouth has proved its worth, for Zidisha borrowers can be found in the most unlikely places. Veronicah Munga, a lone borrower in the ghost-like town of Rironi, heard about Zidisha through a brother living in Mugaa and then again from a friend living in a neighboring village. With a little skepticism, Veronicah applied for Zidisha and is now a failthful member. 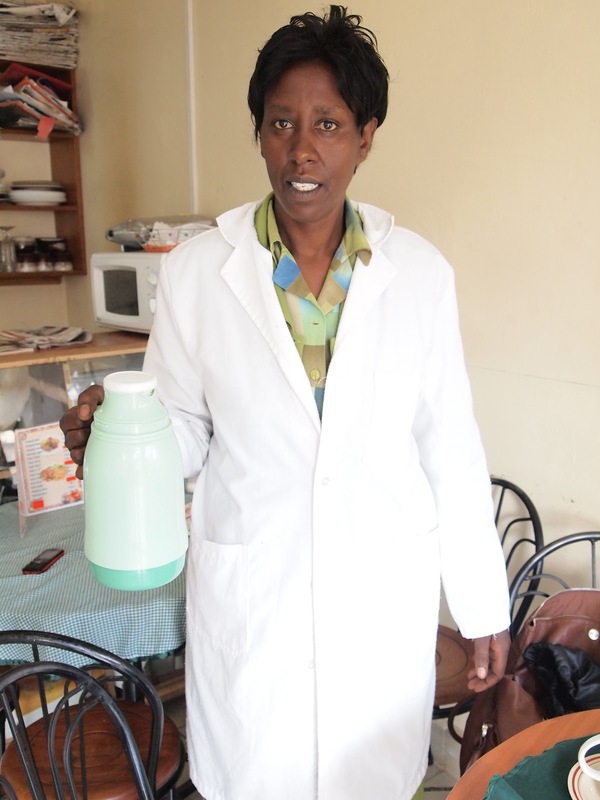 Not long ago, Veronicah ran a hotel in the shopping center of Rironi, but due to a recent renovation project run by the Municipal Council of Limuru, Veronicah had to close her business. But as many know, some downfalls can be blessings in disguise, for Veronicah has now opened Velrojack. Velrojack, a combination of her and her youngest child’s name, is a small boutique selling clothes and shoes purchased in Nairobi. 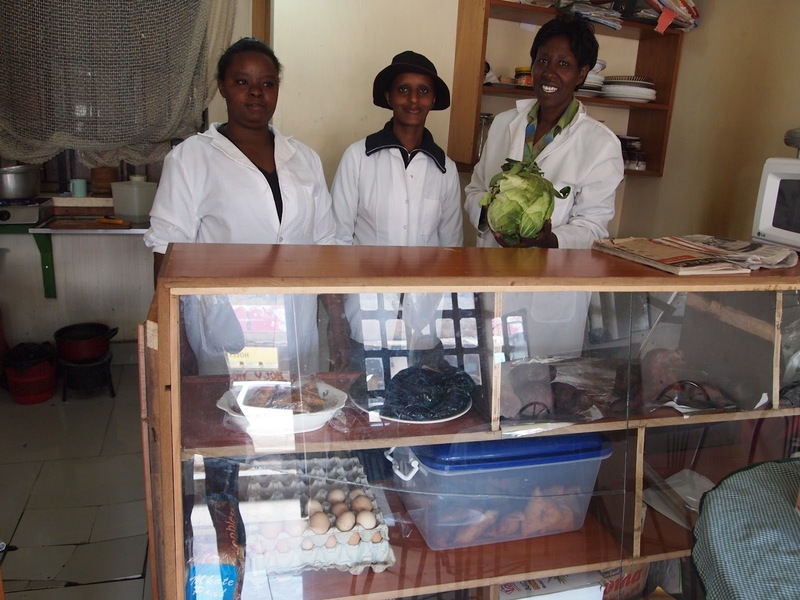 Through her first loan, Veronicah was able to stock her shop with such items. 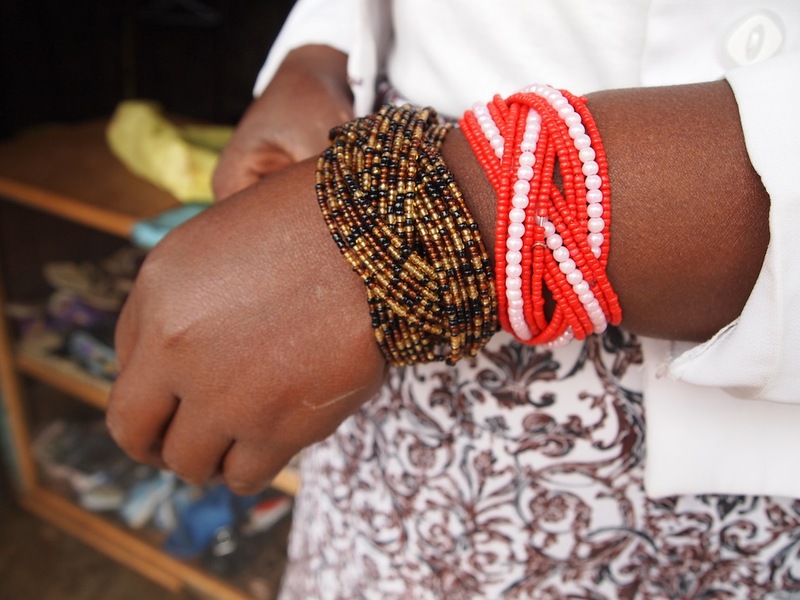 Boutiques are common in all of Kenya, but what sets her apart from most is Veronicah’s beautifully designed bracelets. Having five years of experience making jewelry, Veronicah creates these beaded bracelets in the evening hours, completing one per night. In addition to jewelry making, Veronicah has delved head first into a new venture. She quickly closes her shop and takes me to her home where her project awaits. When we arrive, Veronicah proudly shows me a table spread of bags, intricately beaded and in various sizes. These bags will be the newest item in Velrojack. Veronicah also spreads her talent throughout the community, instructing others on the art of beading. Hoping to take out a second loan soon, Veronicah anticipates buying more beads to make her jewelry and bags. Much like her teachings in jewelry making, Veronicah would like to share the benefits of Zidisha with others in Rironi. She comments on how technology has made the Zidisha process easily accessible and hopes to encourage others to join. On 9th Feb 2012 I paid a visit to Serah Wanjiku Mukuriah at her home and Shamba (farm). Serah works at the Mugaa Secondary School as a secretary (many people affectionately call her ‘Madam Secretary’) and also takes care of her farm and animals. I was a little startled when she said to me “Zidisha will start giving milk from next month”. I later found out that Zidisha is the name of her cow. With her first Zidisha loan Serah started a photocopying business. The business didn’t do too well so she sold the machine and bought Zidisha. With her current loan she has bought a plot near the highway. She intends to build on this plot and rent out the premises. I am always curious about the ages of people here, because they never look their age, but I avoided asking Serah about hers because she’s a lady. Then she told me that she has only four years left to retire and that she will shift to her new plot after retirement. I couldn’t resist asking her age and was surprised to find that she is 52. Serah is a little bundle of energy. We walked from her home to the school together (it’s a 40 minute up and downhill walk) and she literally floated. She is also one of the pleasantest persons I have met here. She is always smiling (I think what helps is that she is not a teacher in the school and thus doesn’t need to scare the children) and comes across as very warm and generous (on the way back she kept asking me if she were walking too fast for me). Two of Serah’s daughters stay with her with their children and Serah takes care of them and the children’s school fees. Serah has studied till form four but her daughters have only finished primary school due to certain constraints. Serah understands the importance of education and wants her grand children to finish their education. It is a sort of tradition that Serah hosts all Zidisha interns at her home and I am happy that I could pay her a visit. I wish her all the luck and happiness. On Sunday (19th Feb 2012) I went to Rongai to meet Samuel Njoroge Njenga. Samuel runs a guesthouse in Rongai. He currently has 13 rentable rooms. He charges 300 to 400 Kenyan Shillings per night (depending on the day of the week and size of the room) for his rooms. He used his Zidisha loan to buy- a water tank, PVC flooring for the rooms, tables, bed sheets and mosquito nets. He also painted his rooms and bought plywood that he will use in the future to prepare more rooms to rent. Samuel feels that the better the facilities he provides, the more clients he will get. Business is good and he plans to pay off his loan in four months (instead of twelve) and apply for another one, which he will use to develop more rooms, improve the bathrooms and perhaps even develop some rooms with attached baths (the current setup has common bathrooms). I found Samuel to be a very extrovert and charming person. When I met him he was dressed in loose jeans and a red sweatshirt. He is supremely confident and walks a little like a rapper. Samuel is 28 and is married. He’s the first person I have met in Kenya who is married and has just one kid, and I did not hide the fact that I was very happy to know this. His wife works for a private company and his two-year-old son will start going to school in a year or two. Samuel inherited the place from his father, who used to rent out the rooms. Samuel decided that the guesthouse business was better than giving out rooms for long term rent and improved the place and turned it into a guesthouse. He says that the returns from the property have doubled since he started this business. Samuel has a diploma in computer repairs and he does computer maintenance as a part time business. We talked about the importance of IT education in today’s world and Samuel told me he has a computer at home and intends to teach his son about computers from the very beginning. I feel very strongly that the level of education in Kenya is very good and there is a great potential for it to become an IT hub. I have great hopes for Shakur’s (Samuel’s son) future. I also met Samuel’s 20-year-old brother who is studying Mass Communication and is a smart looking fellow with a great hairstyle.